So this blog post has been writing itself in my mind for about 6 months. I discovered that someone locally was directly copying my work… and selling for less. A lot less. And she’s built up quite a fan base (she entered the scene while I was away having a baby). So, after a lot of reflection and contemplation of legal action, I say “good for her!” I’m happy for her successes. But I believe, strongly, I have something better to offer. First, you should probably know a little bit about me. I am an horrible introvert. I am shy to the max. I’m also pretty self deprecating. So it should be no shock that it is really, REALLY hard for me to talk about myself, let alone sing my own praises. But that is what I am here to do today. 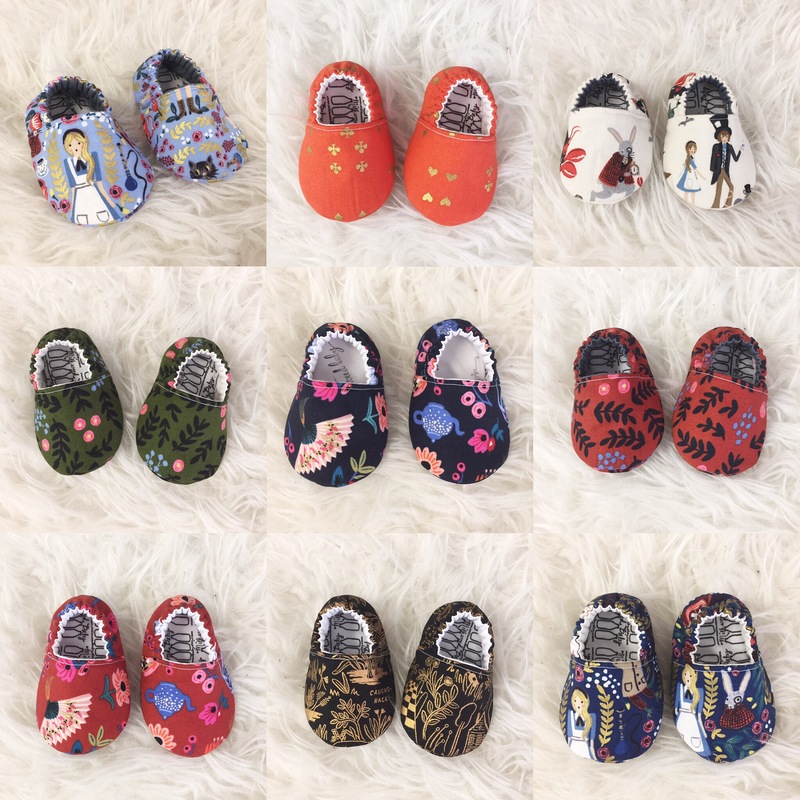 This is not because I need some ego boost (although that wouldn’t hurt, if we’re being honest); it is because I NEED everyone to know what to look for in a quality pair of baby shoes, or really any quality handmade product. There are so many AMAZING makers out there! Tons here in Kansas City & throughout the whole world. So here I go with my top 10 reasons that my baby shoes are great! #1 Experience. 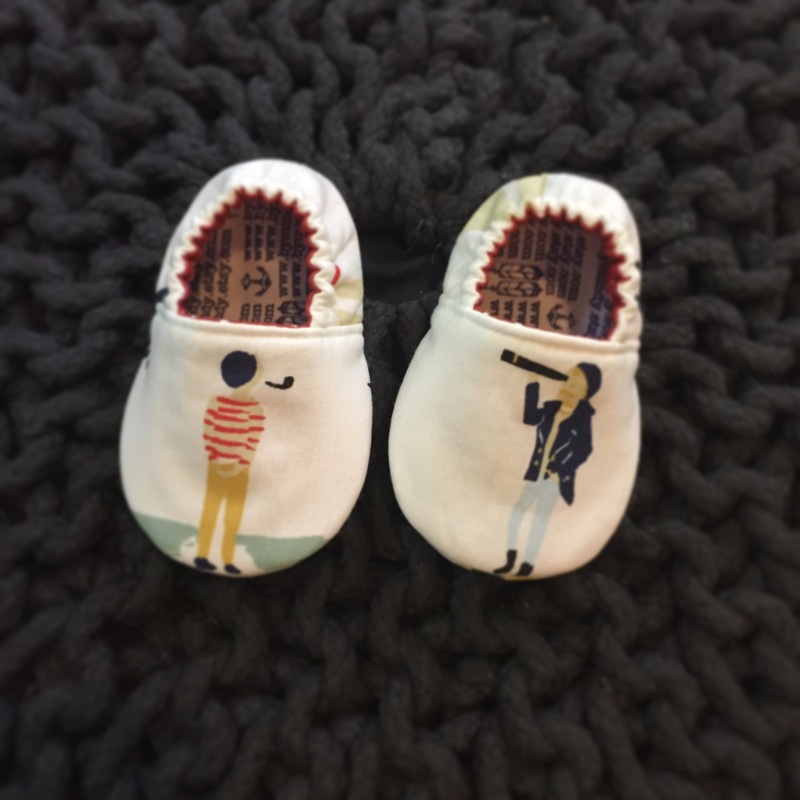 I’ve been making baby shoes for 7 years! That’s 7 years of perfecting my craft & sourcing the best materials. It’s 7 years of designing patterns & fabrics. And it’s 7 years of making pattern & construction revisions to ensure the best quality & fit. It’s also 7 years of learning from my mistakes. 7 years of risk taking. 7 years of failures and 7 years of successes. They say it takes 10,000 hours to master a skill, so I’d say I still have a ways to go, but I’m getting there, right?! #2 Details. I’ve never been a terrific “big picture” person. I get lost in the detail. But I believe that works in my favor when it comes to my craft. The “standard” seam allowance is 1/4″. That’s fine and good, but I think it looks “home made” & not very professional. So for all my top stitching I use 1/8″. I just think it looks better. I also think that it can have some practical applications, making edges sturdier and helping things keep their shape. I quadruple reinforce stitches where it counts the most. These little shoes can take quite the beating and I work to make sure they hold up. They are especially vulnerable where the elastic attaches, so I actually quadruple reinforce those areas twice! Overkill? Maybe. Do I care? YES! I want them to last! I am super careful with my pattern placement, making sure that each shoe captures the best a piece of fabric has to offer. I’ve noticed that many other shoe makers orient the fabric designs so that they are right side up when a kid looks down at their feet. I tried that for a while, but you know what? I don’t like it. It’d be like all our graphic tees having the designs upside down so when we look down at our torsos it’s right side up to us, but upside down to the rest of the world. I suppose personal preference on this one. #3 Style. I’m really good at designing and curating fabrics. For many of my designs I even use fun fabrics on the insides as well! Why be boring? Anyways, the functionality, structure, warmth & breathe-ability come from the interfacing (that you never see) in between the layers. #4 Craftsmanship. I studied fine art in college at the University of Kansas. I learned so much about the importance of good craftsmanship and many techniques that I use every day. I’m a perfectionist by nature and I choose to roll with that instead of fighting with myself constantly. I take my time on every pair of shoes. I make sure that every seam looks great & is doing it’s job properly. If I finish and they aren’t perfect, I start over. #5 Added Personal Touches. If you buy a pair of shoes, or any baby accessory from me, I include a hand written note. It’s important to me that I say thank you properly for supporting my small business. When a customer indicates that the order is being sent to someone as a gift, I include a card with their note for free and even dress up the packaging when asked. #6 Communication. I do my very best to respond to emails and inquiries as quickly as possible. I try to be an open communicator and give my honest answers. I will never lie or bend the truth to get business. If I can’t help someone, I will try to find someone who can. #7. 7 Years of Good Reviews. Check them out here and here. #8. Consistency. I am 1 person designing the patterns, cutting the fabrics, sewing every stitch, pressing every seam, shipping every package. Since I don’t have a team of people working under me, I can ensure amazing consistency in my products. Every person has a different touch, a different sewing machine, and a different eye. This can result in same sized products fitting differently and frankly being of different qualities. You won’t find this problem with my products. It’s all my touch, my machine, my attention to detail. My work is an extension of myself. #9 Passion. I LOVE making! And I believe that my love of the entire process shines through in my products. I take a lot of pride in what I do & it brings me great joy to make others happy! Seeing people smile because of something that I made is one of the best feelings in the world. #10 Happy, healthy baby feet! My shoes are magic. I can’t share what my secret interfacing is, but I will say that it keeps feet warm in the winter & it breathes in the summer. It adds cushion, but is super flexible. These shoes are perfect for developing feet. There’s a great article about the benefits of soft soled baby shoes here. So, thank you for hanging with me. Thanks for your support. Thanks for giving me reasons to make stuff. I really love what I do and it’s just not possible without all of you. To express my deepest gratitude I’d like to give you 10% off for the rest of the month. This discount is good in both of my shops (byMindy & Milkweed Baby) and on any of my products. Simply use the code “COMPETE” at check out. 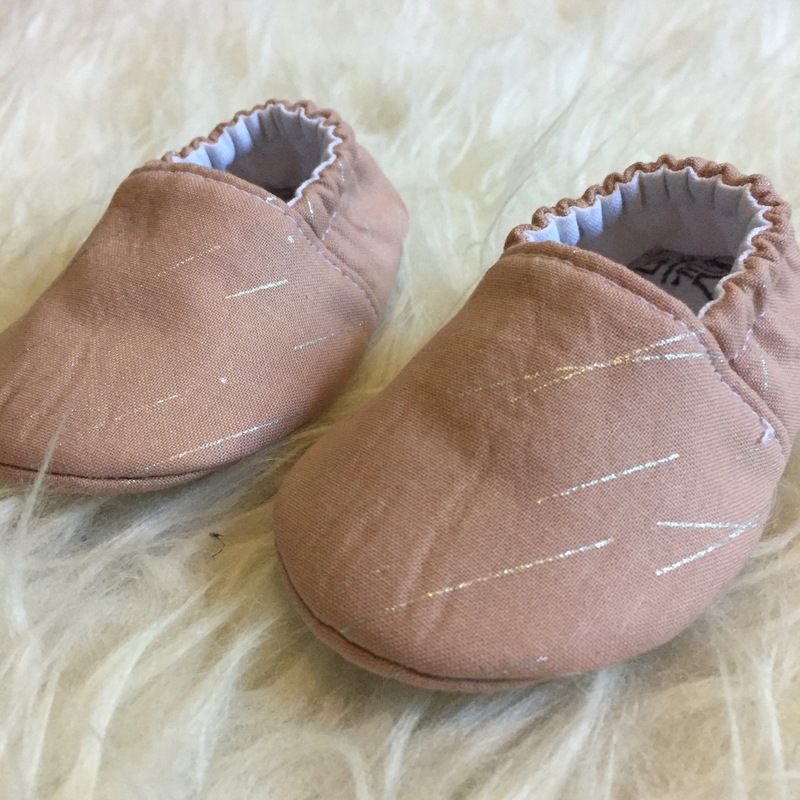 Categories: baby, design, handmade, sale, small business, Uncategorized | Tags: baby boy shoes, baby feet, baby girl shoes, baby shoes, baby shower gifts, crafters, etsy, etsy coupon, etsy seller, etsy shop, handmade baby, healthy baby feet, hipster baby, how to buy quality handmade, learning to walk, makers gonna make, mom bloggers, mompreneur | Permalink. 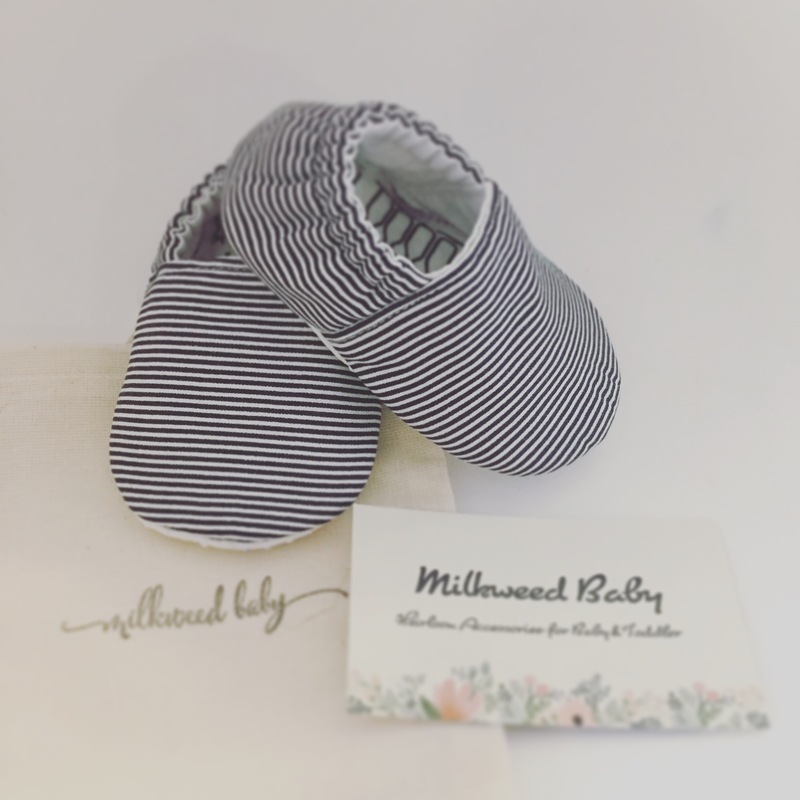 This baby shoe making mama needs 2 new tires, so I’m having a summer sale! 25% off everything in my etsy for the rest of the month! 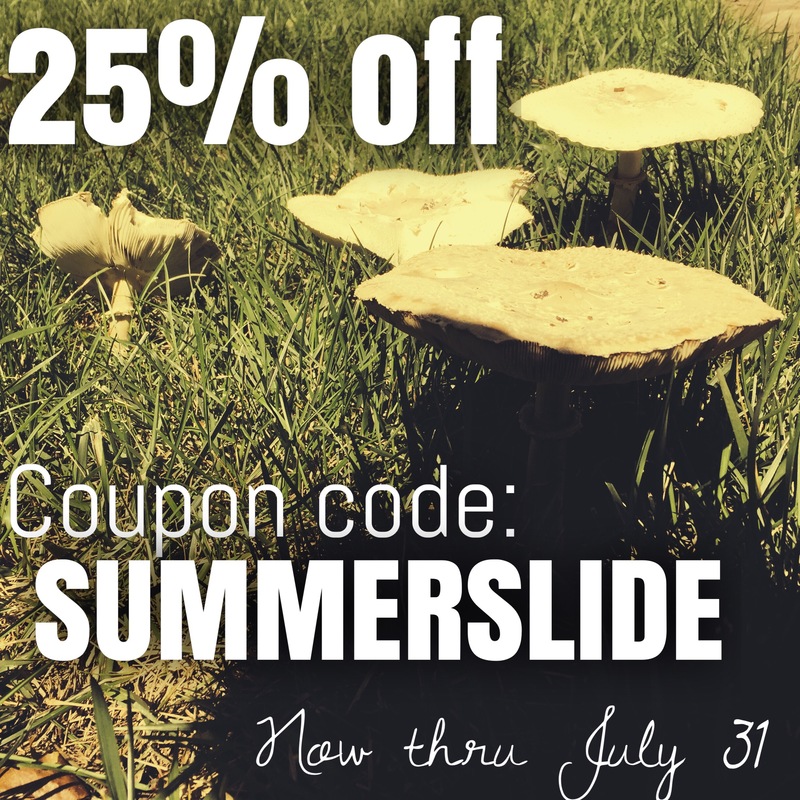 Use the code “SUMMERSLIDE” at checkout! Categories: baby, handmade, sale, small business | Tags: baby, etsy, handmade, sale, save, shop, style | Permalink. I’ve been absent… for a while. I haven’t sewn much, I haven’t participated in shows, and I certainly haven’t written anything. But I did grow a human! If you follow my instagram, you know that she is 291 days old today. 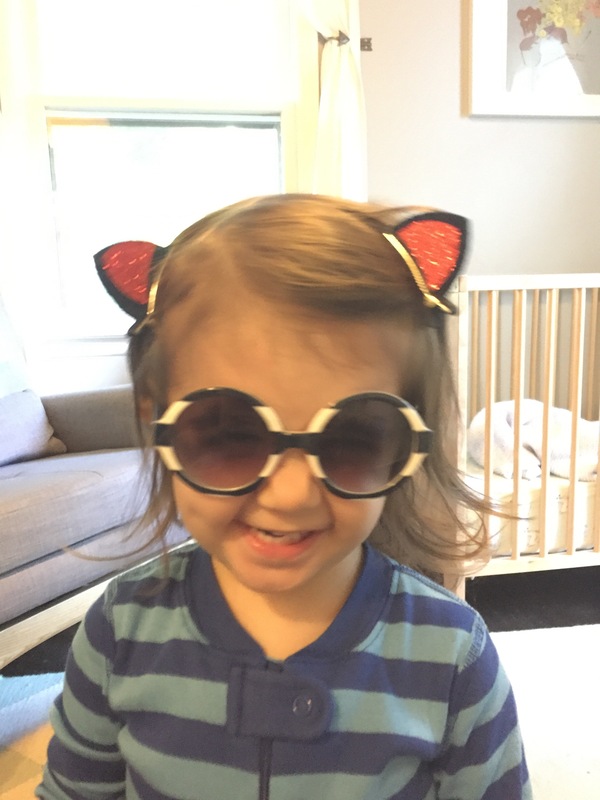 Transitioning to life as a stay at a home mama has been more challenging much different than I had imagined. Before she was born, I had visions of her napping or playing quietly in her pack in play while I worked away. Ha! There’s a lot of things that I thought, that are not the reality of having a baby (a post for another day). Anyways, now I’m back. I’m slower and have less time to dedicate, but I’m back. And I’ve changed. My product tester has taught me a lot about my business. I’ve seen what I use on a regular basis & what I don’t. I’ve learned what seams need more reinforcement and what materials need adjustments. I’ve seen what styles are more desirable and why. So just as I’m different now, so are my products. Not just different… BETTER! I’m really excited to move forward with more knowledge & inspiration than ever. I’ve made improvements to quality & durability that are already in action. And I’m working on a capsule collection for autumn/winter 2016. Follow @by_mindy on instagram to be the first to know about sales and for sneak peeks of my new collection. Meanwhile, I intend for my blog to become more mommy oriented. I want to share what my journey has been and create a safe space for all mamas. Categories: small business, Uncategorized | Permalink. Rock the Vote! 2 Giveaways! Super Pre-Holiday Sale! The voting has started for the audience choice winner in the Martha Stewart American Made awards! You get 6 votes per day! you can use them all on one person if you like, or share the wealth! There are some truly amazing makers in this years competition & I am so honored to be one of the finalists. Please take a couple of moments to vote for me. Click on the picture above & it should take you exactly where you need to go. In the first few days I’m almost at 200 votes! Y’all are making me blush! ROCK THE VOTE GIVEAWAY!!! As some incentive, I’m having a giveaway!! If I hit 2000 votes by the end of the day on 9/30, someone will get a $35 dollar credit to use at byMindy’s etsy! TO ENTER, vote (honor system, I have no way of knowing if you actually did) and comment on this blog post! If I hit my goal, I will randomly select the winner from those who commented here!! Since I don’t want any of you to have to put any personal info in the comments, I will announce the winner on the blog, & they can get in contact with me to claim their prize!! INSTAGRAM GIVEAWAY!! Don’t forget, I’m still running my instagram giveaway. When I hit 300 followers, I will randomly select a follower to receive a pair of Deco Shores shoes of their choosing!! Click on the word “INSTAGRAM” at the top of the blog & it will take you right to my page! Did you know that there are only 98 days left until Christmas! GASP! UGH! It comes so fast every year! I’m usually so busy fulfilling orders (great problem to have!!) that I put off my shopping til the last minute. This year I have gotten an early start! I have already purchased several Christmas gifts (I don’t even know myself anymore). To celebrate this good feeling, I’m having a Pre-Holiday Sale in my etsy shop. This is the biggest discount I will offer all year & it includes all items! Now until 9/30 you get 15% off! Enter the code “EARLYBIRD” at checkout and SAVE! and share in this awesome feeling that I’m rocking that I have a head start for maybe the first time ever!! Other than all this excitement, I’m just a busy bee (aka CRAZY PERSON) getting my shop ready for the holidays & hand-making a bunch of wholesale orders!!! (HONEST MOMENT) So you may not hear from me much over the next little while, except on facebook where I plan to totally harass you until you vote for me, just kidding, or am I? Well anyway, I do hope you all are well & I thank you from the bottom of my heart for your continued support! Exciting things have been happening around here! Yep! You are seeing that right! Thank you to all my wonderful friends & fans for sharing my nomination on Facebook & Twitter! BECAUSE OF YOU, I am a finalist!!! Voting begins on Monday, September 15 and runs through October 13. Since I am a wildcard finalist, I’m not expecting to be one of the 9 winners that Martha’s people select. So I’m up against 990 other extremely talented people for 1 spot that is chosen, by the people, through their voting. You can vote every single day, and I sincerely hope that you will vote as often as you can! Also, I need your help getting your friends to vote for me. It’s gonna take more than a village for me to secure a winning spot, and Oh! How life changing that winning spot would be!! The winner gets $10,000 to put towards their business. 10Gs! Holy guacamole! I can’t even begin to tell you what amazing things I could do if I suddenly had 10K to put into my little business. I could upgrade some equipment, which would allow me to do things like: make bigger quilts, incorporate leather into my little shoes, invest in the tools to be able to put street-worthy soles onto some shoes which (you guessed it! means byMindy shoes for grown ups!!!). So TOTALLY AMAZING THINGS could come from a winning spot. But I won’t get there without YOU! And you friends & your friends friends & their friends & so on. So please, I beg of you, help me! Sincerely though, you all are the best! I wouldn’t have this business were it not for you. While I still have my day job, I have the dream & the hope of running byMindy full time someday, and that wouldn’t even be possible for me to daydream about, if I didn’t have each & every one of you. So, from the bottom of my heart, I thank you! I’ve added a tab at the top where you can sign up for my email newsletter! This is the best way to find out first what is new, when there is a sale, and to get extra special subscriber only discounts!! I am a mad woman & am having a Pre-Holiday Sale! Check the sale section in my etsy! I’m adding new items all this week! I don’t do this often & it won’t last long, so take advantage! Impress everyone you know & get a head start on your holiday shopping and save some serious dough! Categories: design, handmade | Tags: art, awards, baby, babyshoes, byMindy, chicago, contest, crafting, design, diy, etsy, fabric, fabric design, finalist, handmade, kansas city, kicks, made in america, made in kc, martha stewart, money, renegade, renegade craft fair, sale, sales, sewing, shoes, spoonflower, textiles, voting, win | Permalink. I hope you have been well! I just wanted to check in & let you know about some exciting stuff that has been happening at Handmade byMindy. We just returned from the Renegade Craft Fair in Chicago. The weather was perfect, our booth-mate was AMAZING, and we had a very successful sale. Also, I was so proud of myself for overcoming my fears post miscarriage. I was happy & engaging, not resentful or depressed at all. It was truly great & I have returned reinvigorated! I have tons of wholesale orders I’m working on, which is so awesome & exciting. In order to keep up with everything & to attempt to have a little balance in my life, I have decided to not do any more shows this year. So my online shop will be more important than ever! I’ve done some major updates to my etsy page. 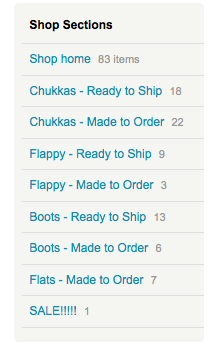 First, I have a ton of inventory listed right now!! 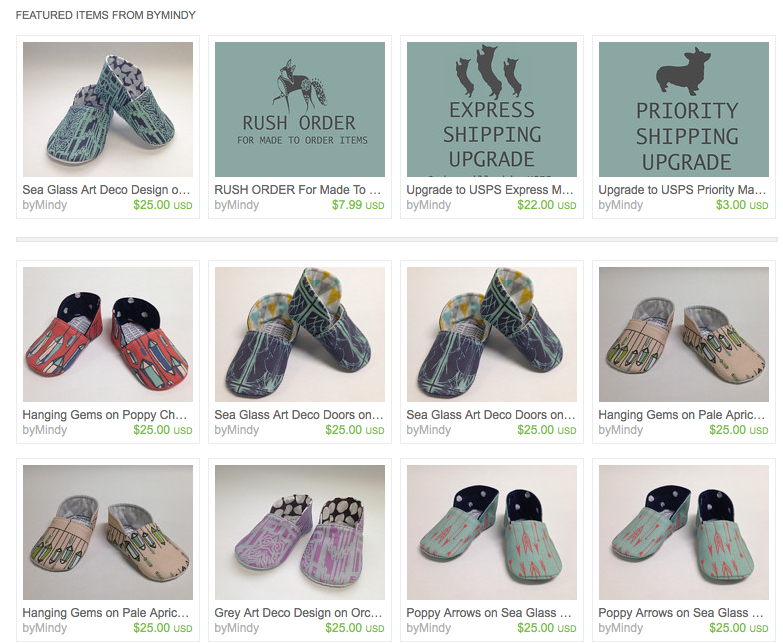 I have a great wholesale linesheet through etsy wholesale, if you are interested in carrying byMindy, check it out! I’ve lowered my shipping rates! Wahoo!! And added options to upgrade your shipping or to rush your order; all great things! And I’ve added some new sections to the shop! Now I have ready to ship options that are already made & ready to go! Great for someone that needs an order fast! And notice the SALE section! I’m still working on adding items to the sale section, but keep your eyes peeled for great deals coming soon! I’ve got tons to do! Talk to you soon! I want to thank all of you for your kind words & for sending happy healing thoughts & prayers. We are so blessed to have so many amazing people in our lives. Each day has been different, but overall I do feel that we are healing. The final hurdle for me to get over is byMindy. Over the last several days I’ve been trying to ease myself back into hand-making baby shoes. Needless to say, it’s been emotional & slow-going. This weekend I have to fully rip off the bandaid. We will be at the Renegade Craft Fair in Chicago next weekend, so that’s a pretty hard deadline. I’ve been nominated for the Martha Stewart American Made awards & am gunning for a wild card. The winner gets $10000 to put towards their business. If you want to help out, visit my page (link below) and click on either the facebook or twitter share button. Ask your friends to do the same! The 200 people with the most shares will advance to the finals. Some pretty exciting things could happen if I had that kind of moolah to put into byMindy (ahem … bigger sizes, maybe even some hard soles). I hope you all are well! And thank you again for your love & support!